I've been taking a look at the nonprofits and "for a good cause" marketing techniques. 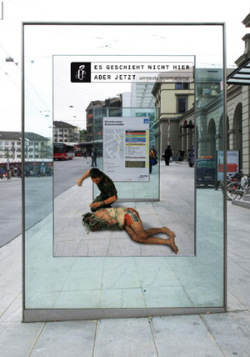 Last month, we looked at the Anti-Smoking Campaigns. and Saving Our Environment Campaigns, and the AIDS Campaigns. 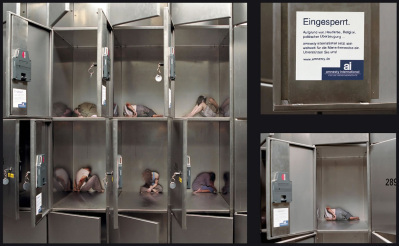 In Frankfurt, in this campaign, people were cut out and placed into public lockers. 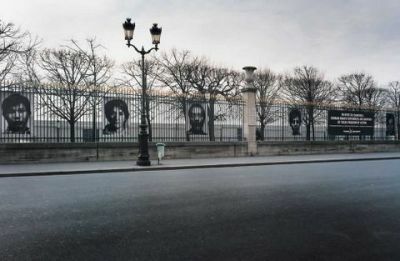 The copy says: LOCKED UP. Because of colour, religion, political preference… Amnesty International supports human rights… help us. 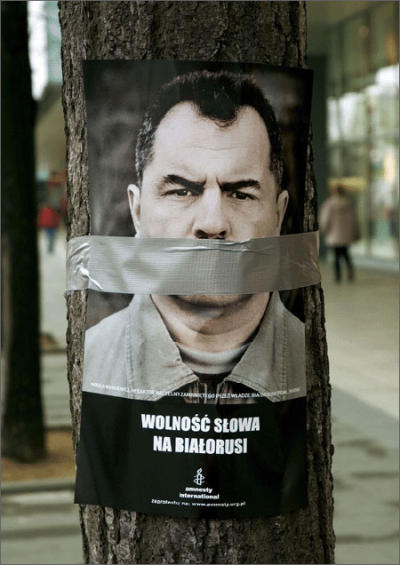 These were placed on the streets of Poland. 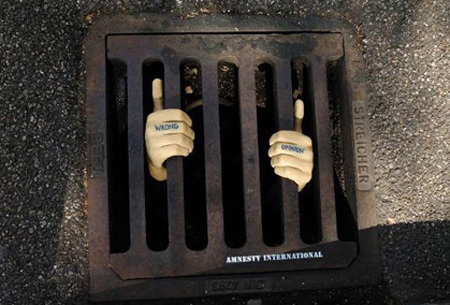 This guerrilla marketing technique was used on street grates and says "wrong option." 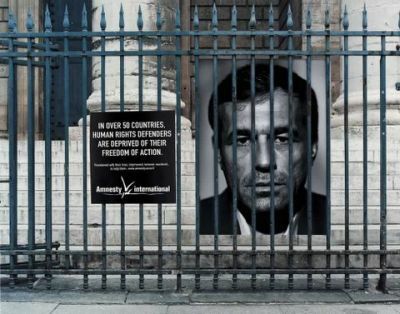 These ads are about human rights for imprison people that were not proven guilty and sit imprisoned without a fair trial. 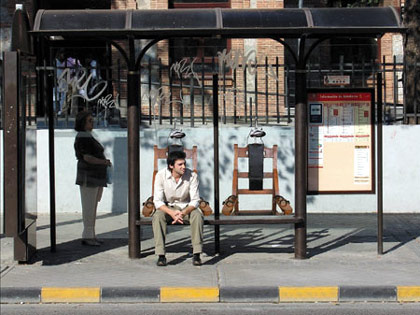 In Spain, these ads ran on bus stops and says: ‘More than 4000 condemned until death are waiting for their execution. 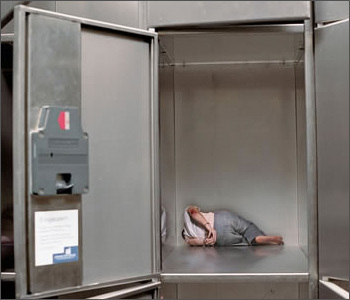 No to Capital punishment’. In case you can't tell, the guy is sitting in an electric chair. Sitting in something that looks like an electric chair is sure to trigger some reaction, no? I doubt #6 one is from spain since there are only 5. Disregard last page. I feel like a fool, didn't see next page. Sorry for asshattiness. ... ad seems to read "Wrong Opinion". It's actually Catalans, a language spoken in the region around Barcelona that resembles a mix between French and Spanish. Are those lockers/storage bins real? I mean they risk someone pulling out the 'cutouts'. 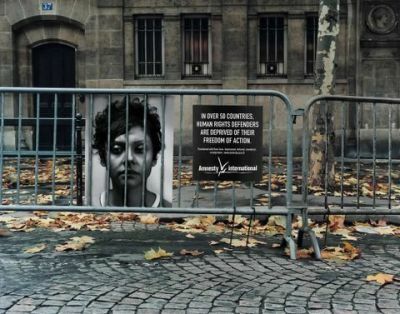 Great ads BTW, they're very thought provoking to say the least - if only we had some of those over here in North America.